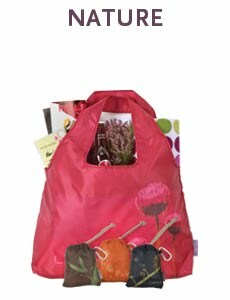 Gaggle of Chicks, a nationwide deals site, is offering $25 worth of goods from LetsGoGreen.biz products for $10. But when you sign up you will be given $10 credit, which you can use immediately, making this deal free! Go here to sign up (it's free), and then purchase this deal for $0. An email will be sent to you with a code, and you will enter that code into the coupon code box upon online checkout at LetsGoGreen.biz. Please note that shipping is not included! Thanks to Hasbro, we recently had the chance to review the latest puzzle craze from Japan...Ji Ga Zo! "Not only is Hasbro a leader in the games industry, but we are also the world’s largest manufacturer of puzzles. This year, we are excited to introduce Ji Ga Zo, a revolutionary new product, which allows you to use photos to create personalized puzzles. In fact, you can use the same 300 pieces in the puzzle to make virtually any image – a child, spouse, friend, pet or celebrity! Each game comes with CD-Rom software to convert any image into a puzzle map of symbols and colors. The map is then used to transform the sepia-colored pieces into your image. Since the puzzle is assembled based on a custom map, the image can be changed, the map updated and the pieces reshuffled for hours and days of fun!" Ji Ga Zo is revolutionizing the puzzle category! This awesome puzzle has 300 pieces that you arrange to create any face — even your own! Start out with any digital image and upload it using the Ji Ga Zo software. The software figures out the placement of each piece and builds a unique icon map. Then, it’s up to you to arrange the pieces according to the icon map and watch your own special image come together! These 300 pieces are specially created with unique colors and shading that let them interlock to create almost any face image you upload. The possibilities are virtually endless and the “face-making” fun goes on and on! CD-ROM includes icon maps for Mona Lisa, a collie dog, a kitten, a panda bear and MR MONOPOLY. Includes CD-ROM with software and instructions, 300 puzzle pieces and assembly grid. What we thought: This is really an incredibly unique puzzle that was fun for the whole family. The best part about this puzzle is that it can be done over and over again to make a different picture each time so you really get your money's worth:) The puzzle pieces are sorted by colors and symbols and the little ones really enjoyed helping find each piece for our picture. The images aren't super clear, but you can tell what or who it is supposed to be which is really neat. This would be great for kids 8 years old and above...even adults would love this puzzle:) ABCD Diaries gives Ji Ga Zo an A+! Buy It: You can find Ji Ga Zo at mass merchandisers nationwide. Disclosure: ABCD Diaries was given Ji Ga Zo for review purposes only. We were in no other way compensated. The opinions expressed in this post are ours and ours alone. We recently had the chance to review Breyer's YoCrunch Fruit Parfaits! "In light of the New Year approaching, Breyers® YoCrunch® yogurts wants to help moms save calories and save money. Packing a lunch is an easy way to save both, and we want to make it even easier by offering our most calorie conscious yogurts - YoCrunch® 100 Calorie Packs (100 calories) and YoCrunch® Fruit Parfait™ (120 calories). Whether you have them for breakfast, or as a healthy yet indulgent mid-day snack, YoCrunch is a fulfilling, no-sacrifice choice. Breyers YoCrunch Fruit Parfait: the first layered fruit, yogurt and granola parfait to be in local grocery stores. YoCrunch® Fruit Parfait™ is available in three classic fruit flavors -- strawberry, blueberry and peach. Consumers will be able to find this yogurt at leading grocery stores nationwide at a suggested retail price of $2.89 for each four-pack container." 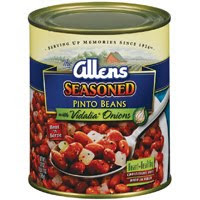 What we thought: These were so tasty, I didn't even get to review them! B, A and D took care of this one by finishing off all 8 yogurts before I had a chance to try even one...they said I had three days, I just didn't act fast enough:) When something goes that quickly in our house is is definitely a good thing. The kiddos love yogurt, but they especially loved the chunky pieces of fruit in the parfaits and they enjoyed adding the granola to make it crunchy and even more satisfying. B was quite fond of grabbing one on the way out the door before work each day. He said they were good and made for a quick and easy breakfast on-the-go. Luckily for me, I know I will get to taste these in the future because we will definitely be putting these on the regular grocery list! ABCD Diaries gives Breyer's YoCrunch an A+! 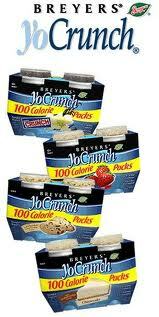 Buy It: Find these delicious Breyer's yogurt snacks at your favorite grocery store of mass merchandisers nationwide! Win It: Breyer's has generously offered TEN ABCD Diaries readers a pair of coupons to try YoCrunch 100 cal packs AND YoCrunch Fruit Parfaits!! To enter, follow our blog via GFC and comment below. 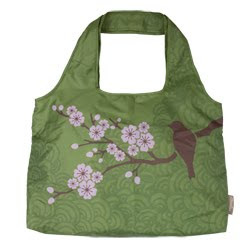 Giveaway ends Sunday, March 13, 2011 at 11:59cst. Winners will be chosen via random.org and emailed. They will have 48 hours to reply. Open to US residents 18+:) No PO Boxes. Disclosure: ABCD Diaries was given a Breyer's YoCrunch pack for review purposes only. We were in no other way compensated. The opinions expressed in this post are ours and ours alone. "Jim Rimer founded Biokleen in 1989. As a previous sales representative of cleaning chemicals in the commercial and industrial industry he became more and more aware of the dangers of the products he was selling and the ingredients they contained. "Fights Stains & Odors with Essential Mint Oil:Biokleen Soy Toilet Scrub is gentle while the acid-free formula effectively cleans, and deodorizes tough stains and odors. Made with Soybean Oil Extract, Natural Volcanic Perlite, and Grapefruit Seed Extract, Biokleen Soy Toilet Scrub provides for a natural, non-toxic, and effective alternative. • Effectively cleans and deodorizes"
What we thought: The Biokleen Soy Toilet Scrub worked really well. It left our toilets clean with minimum effort and time and with no harsh chemicals or fumes. I liked that I didn't have to let the cleaner sit for a while like we usually do...it was ready to use right after applying. 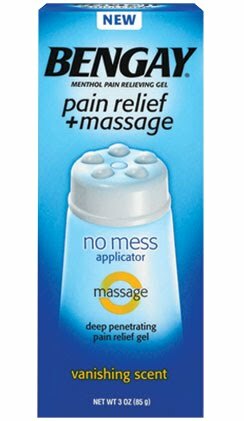 Another great thing about this scrub are the tiny little micro scrubbers that do most of the work and you don't need much to get the job done! The results were sparkly toilets:) The Soy Scrub can also be used on other porcelain surfaces as well. 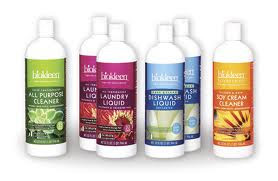 If you are looking for a more natural and safe alternative for cleaning your home, check out the line of soy-based cleaners at Biokleen! ABCD Diaries gives the Soy Toilet Scrub an A+! Buy It: You can find these wonderful soy based cleaners and more at Biokleen. Win It: Biokleen has generously offered one ABCD Diaries reader a bottle of Soy Toilet Scrub. To enter, follow our blog via GFC AND follow Biokleen via Facebook and Twitter...these 3 steps are MANDATORY. Disclosure: ABCD Diaries was given a bottle of scrub for review purposes only. We were in no other way compensated. The opinions expressed in this post are ours and ours alone. Sweetness born from a leaf, not in a lab. Meet the stevia plant. The proud parent of our natural sweetener. People have been sweetening foods and beverages with stevia leaves for hundreds of years. 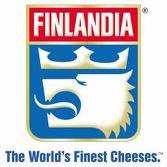 The taste comes from a natural ingredient from the leaves called rebiana. Rebiana is what gives Truvia™ natural sweetener its clean, honest sweet taste. Simple. Who knew going green could be so good? 1.Truvia™ natural sweetener is refreshingly uncomplicated. Sprinkle it on your grapefruit. Spoon it in your coffee. It won't end up on your conscience or your thighs. 2.One packet of Truvia™ natural sweetener provides the same sweetness as two teaspoons of sugar. 3.Truvia™ natural sweetener is a great alternative for people with diabetes. 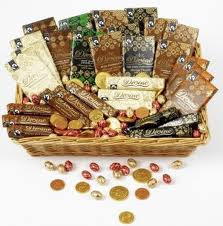 It is also kosher certified"
We have tried quite a few sugar substitutes and I must say, Truvia is the closest we've come to an artificial sweetener tasting like sugar. You can still tell it isn't the real deal, but the taste isn't nearly as obvious as many others. 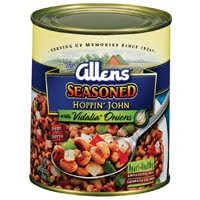 It dissolves easily in cold or hot liquids and works really well in baked goods too. The scoopable canister makes baking with Truvia a breeze:) There is an extensive recipe collection on the Truvia site and I've picked a few to share with ya'll. ABCD Diaries gives Truvia an A for anyone in your family looking for an alternative to sugar. Buy It: You can find Truvia at your local grocery store or mass merchandiser. 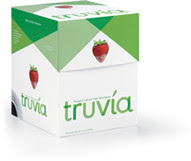 Win It: Truvia has generously offered one 40 ct box of Truvia to a lucky ABCD Diaries reader. To win, follow this blog via GFC and let us know if you've ever tried Truvia. 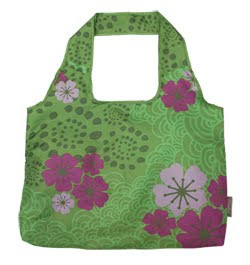 Giveaway ends Friday, March 11, 2011 at 11:59cst. Winner will be chosen via random.org and emailed. They will have 48 hours to reply. Open to US residents 18+:) No PO Boxes. Disclosure: ABCD Diaries was given a canister and box of Truvia for review purposes only. We were in no other way compensated. The opinions expressed in this post are ours and ours alone. We recently had the chance to review the newest release from Joanie Leeds and the Nightlights, What A Zoo! Building on the momentum of her 2010 Parents’ Choice® Gold Award-winning album, I’m a Rock Star, independent children’s musician Joanie Leeds brings her attention to the animal kingdom with the April 12 release of her new kids’ CD, What a Zoo! (Limbostar, $15.00, for ages 2 – 9, run time 37 minutes). Joining Joanie and her band, The Nightlights, is the critically acclaimed “hip hop for kids” musician, Secret Agent 23 Skidoo. Gifted with a soulful, “rock solid” voice and an instinctive knack for capturing the essence of any style she goes for, Joanie Leeds has delivered, with each new release, music that speaks to kids in a friendly, non-patronizing way and is imbued with artistic values that thrill admiring adults. Her presentation is notable for its child-appropriate clarity, yet vocally Joanie soars easily through a remarkable array of styles with such an enviable power and dexterity that it’s easy to forget her intended audience is under age 10. Joanie truly rocks! What a Zoo! presents ten rockin’ Joanie Leeds originals and four covers, each with its own distinctive personality that salutes every child’s fascination with our animal friends. The lyrics are thought provoking and packed with educational value. “My Butterfly” explores metamorphosis, “Sea Cow” and “Big Blue Whale” focus on endangered species, and the delightful, two beat novelty song “Tofurky” emphasizes responsible eating. Other songs are just plain fun. “Happy As A Clam” wends its way through the many animal-isms that pop up in our daily conversations, while the classic “Pony Boy” provides a sweet country touch. A brilliantly eclectic presentation of the beloved children’s folk ballad “Froggie Went a’ Courtin’“ updates Joanie’s authentic swing phrasing to include a super hip appearance by guest rapper Secret Agent 23 Skidoo. While the album is light-hearted, Joanie’s cover of the Phish song “Possum” does let kids know what happens when you don’t look both ways when crossing the street! What a Zoo! offers a perfect setting for Joanie’s vocal virtuosity and impeccable good taste. 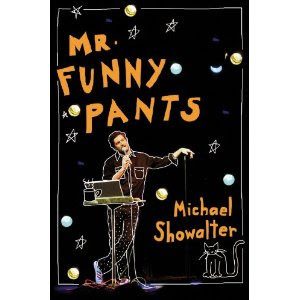 Its sophisticated humor is rooted in real life experiences and guaranteed never to wear thin with the repeated listenings this CD is bound to get. The Washington Post named Joanie Leeds’ 2010 release, I’m a Rock Star, one of the best kids’ CDs of the year. In addition to winning a Parents’ Choice® Gold Award, the album was honored with a NAPPA Award, its title track was a finalist in the John Lennon Songwriting Contest, and the song “More Cowbell” reached #1 on WXPN’s Kids Corner. Joanie’s songs have been spinning regularly on dozens of “kindie rock” radio programs and podcasts, including Sirius/XM’s Kids Place Live. Previous to I’m a Rock Star, Joanie released two albums for adult listeners: My Job Application Knows More About Me Than You Do (2000) and Soul From My Footsteps (2004), a Parent’s Choice® Recommended children’s album, City Kid! (2008), and a children’s holiday CD, Challah, Challah (2009). Joanie’s City Kid Live! DVD, released in 2010, won three Telly Awards.What a Zoo! will be available online at www.citykidmusic.com, amazon.com , cdbaby.com , and at specialty toy and bookstores across the country." What we thought: The kids really loved the upbeat feel of this CD and I loved the kid-friendly lyrics that also appealed to me as a mom:) I also liked the educational aspect of these songs. My kiddos were not only thouroughly entertained by What A Zoo!, but they also learned a lot about animals while listening to this CD. Joanie Leeds and the Nightlights really know how to get the kiddos up on their feet and singing and dancing along. This is definitely one of the most requested children's CDs at our house:) ABCD Diaries gives What A Zoo! an A+! 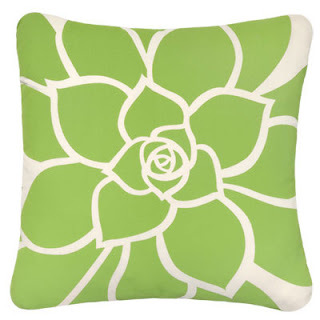 We recently had the chance to review a few items from the Spring Line at Tea Collection. "There is no better name for our brand than Tea. Tea, the drink, is shared in nearly every culture around the world—offering inspiration, warmth and mindfulness. In the same spirit, we offer children’s fashions with the tagline “for little citizens of the world,” celebrating the beauty found in cultures around the world. Tea started in 2002 in San Francisco with three pima cotton sweaters. Now, we offer two full assortments, Tea Collection and Daily Tea, available in more than 400 stores including Bloomingdale's, Nordstrom, Saks Fifth Avenue, Takashimaya, and the best boutiques throughout the US and abroad." "The beauty of art is it can be created out of almost anything and on any surface. Create an easel full of etchings in this fun and feminine ruffle sleeve playwear dress. 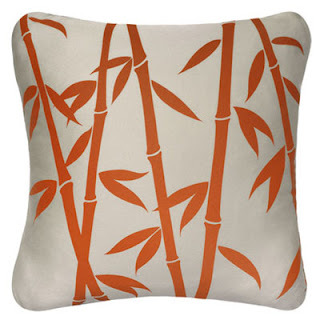 Pair it with gypsy pants or skinny leggings." 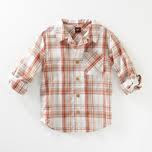 "You'll be an icon of cool style in your breezy Playa Plaid Shirt. A great topper over our Barcelona Beach graphic tees, especially El Masnou." 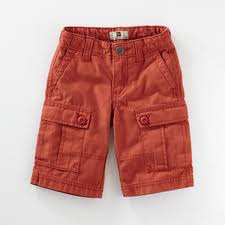 "No one should be without their favorite pair of cargo shorts. Longer length and plenty of pockets for all your creative adventures. Adjustable waistband on sizes 2-12 years. Elastic back for sizes 6-24 months." 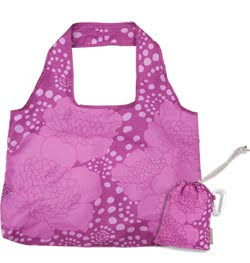 Tea Collection carries a wide selection of quality children's clothing. If you're looking to add to your kiddo's spring wardrobe, you should definitely check out the stylish, casual and adorable fashions at Tea Collection! ABCD Diaries gives Tea Collection an A+! Buy It: You can find these gorgeous clothes and more super stylish clothes for kids at Tea Collection and in stores. To find the retailer nearest you use the store locator. Win It: Tea Collection has generously offered one ABCD Diaries reader a $50 Gift Certificate! To enter, follow our blog via GFC and comment below. Disclosure: ABCD Diaries was given clothing for review purposes only. We were in no other way compensated. The opinions expressed in this post are ours and ours alone. -Easy to light. Simply light the brown wrappers. 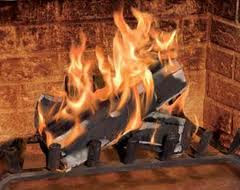 -Chimney Safety Institute of America Accepted Product"
What we thought: We really enjoyed snuggling up by the fire we made with Duraflame Stax logs. They were certainly easier to light than the traditional wood fires we burn. They worked just as well as our wood fires work. The logs burned for quite a while and made the "sound effects" of a crackling wood fire:) If you love the look, feel and sound of a wood fire, but prefer something that is a little easier to light and produces less pollutants than real wood, Duraflame Stax will get the job done! 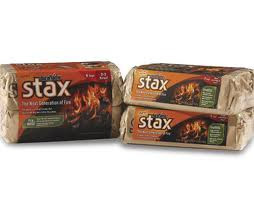 ABCD Diaries gives Stax fire logs from Duraflame an A+! 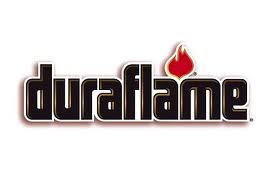 Buy It: Find these fire logs and other Duraflame products at mass merchandisers nationwide! Win It: Two ABCD Diaries reader will win vouchers for a free set of Duraflame Stax logs!! To enter, sign up to follow our blog via GFC. Disclosure: ABCD Diaries was given a set of Stax for review purposes only. We were in no other way compensated. The opinions expressed in this post are ours and ours alone. We recently had the chance to review a stainless steel water bottle from Tazzini. 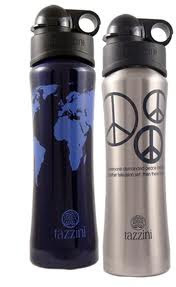 "Tazzini stainless steel bottles are a stylish, healthy and convenient way to take your favorite drinks anywhere you go. 100% recyclable" What we thought: I thought I'd show a picture of the bottle top of the Tazzini because it was one of my favorite features! You pop the cap off, twist the top and then drink. The cap won't close unless you twist the top back and ensures NO SPILLING!! 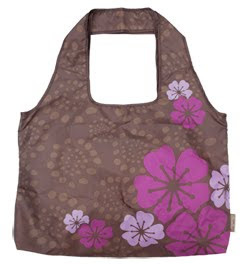 Very important when you carry your water bottle in a diaper bag or purse:) We also loved the gorgeous design and colors and the bottle was lightweight even full of water which made it easy for even the little ones to use. We are really enjoying our Tazzini water bottle and since it replaces plastic water bottles, it is an affordable and safe way to reduce our family's carbon footprint:) ABCD Diaries gives Tazzini an A+! Buy It: Find these stylish stainless steel bottles at Tazzini or through these retailers. 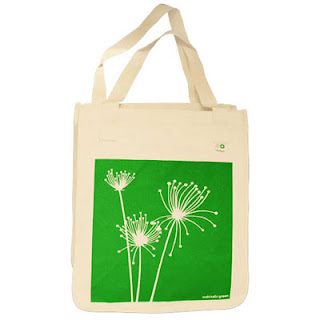 Win It: One ABCD Diaries reader will win their very own Tazzini! To enter, sign up to follow our blog via GFC and comment below. Disclosure: ABCD Diaries was given a Tazzini for review purposes only. We were in no other way compensated. The opinions expressed in this post are ours and ours alone.